The DreamRCT is a great online project spearheaded by Jordan Weinstein at UKidney and Joel Topf at PBFluids. 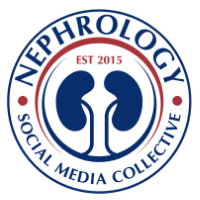 Nephrology bloggers have all pitched in. It is to stimulate ideas for a potential big project in clinical nephrology. For those new to this, these are NEW ideas that have never been studied before- innovation in the making! The voting is going to begin on Monday Feb 17th 2014. Go to Ukidney.com for the final voting. Check them all out and vote for the most likely to be doable and likely needed in nephrology.